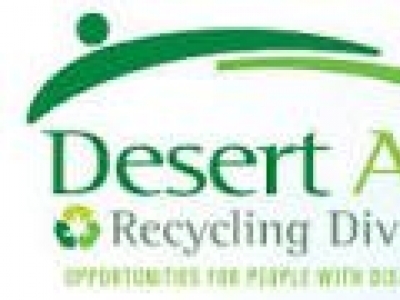 If you live in the Coachella Valley, you’re probably aware of the hundreds of events that take place here every year, but you may not have heard the name Shari Kelley being bandied about. Shari was lured from her Las Vegas home, where she sold show tickets and made reservations, to the Coachella Valley in the late ‘70s by her mother, a successful caterer who needed a reliable assistant. The first party they did together was for 200 people and Shari was hooked. 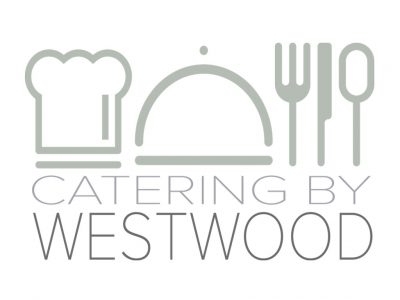 “It was really fun putting the food together for the party, and we broke all the rules. We cooked right in front of people, we prepared a menu that was very different from what they had ever had before…I just loved it,” she recalls. The next morning she announced that she was putting her Vegas home up for sale and moving to the Coachella Valley to work with her mother at her popular “Mary Go Round Catering” business. Shari and her mom worked together for seven years, and she kept it going for another five years after her mother retired. In 1990, she came to the realization that what she enjoyed most about putting together parties was the production – the visual part of the evening. “I liked the flowers, the lighting the special effects, the entertainment. I liked creating something new and fresh. 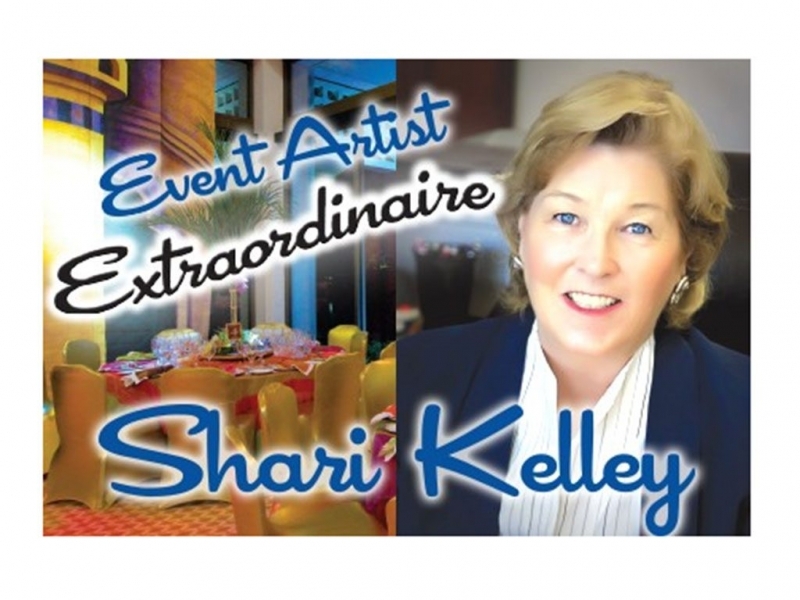 So I closed the catering company and opened Shari Kelley Events,” she recalls. The Valley is peppered with hundreds of nonprofit organizations and, while Shari doesn’t do the fundraising, she knows how to turn charity events into money-makers. By now, she has worked in most of the local event venues many times, is on first name terms with the committee folks, and is a supportive and calming presence even under the most challenging circumstances. Private parties, large and small, keep her on her toes. “It really makes a difference where they’re having the party,” she explains. “If it’s in an airplane hangar, I can do anything. But if it’s in a country club, then I have to pay attention to the size and color of the room when I make my plans.” Her repeat customers can be easy — many want to have the same party every year – or challenging. She did one client’s Halloween party for 15 years. “We started doing a different theme every year, and that was so much fun,” she recalls. The most unusual party, and her favorite, was when a gentleman called her to do a surprise party for his wife’s birthday. It came up in conversation that he never had learned to dance, which gave Shari the theme of the party. She hired a choreographer to teach the man to dance, and he entered the party with top hat, a cane, and two girl dancers – a real Broadway number where he did a dance to “Do you Love Me Now that I can dance?” His wife cried! On the other hand, there have been important funerals along the way. Shari was in the wings at Betty Ford’s home after the funeral. One of the biggest she has planned was for Richard Milanovich, chairman of the Agua Caliente Band of Cahuilla Indians. He was highly respected among Native Americans all over the country and 850 Native Americans from many tribes attended the ceremony. Obviously, Shari is passionate about her work. “We consider what we do as art, not a job we come to…I’m the luckiest person in the world. To do something you love is a real gift. Some people go to work and hate it, but not me.” She recently added “Flowers by SKE” to her 9,000 foot facility to have better control of the exceptional flower supply that her clients and the public demand. 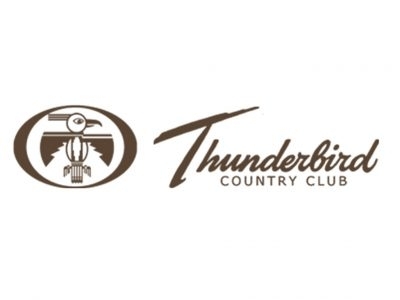 Thunderbird Country Club distinguishes itself with a proud tradition of uncompromising quality, service, and friendly atmosphere, setting Thunderbird Country Club apart as one of the very finest private member-owned clubs in the United States.